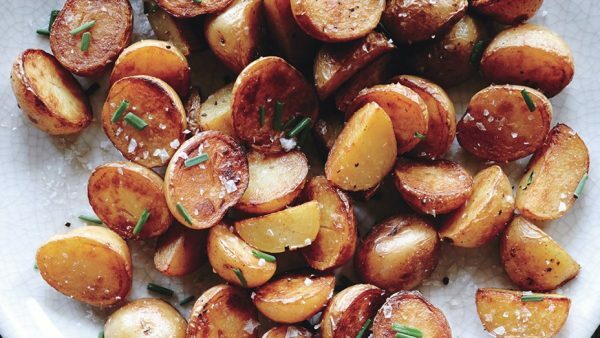 Combine potatoes, 1 cup vinegar, and 1 Tbsp. kosher salt in a medium saucepan; add water to cover by 1”. Bring to a boil, reduce heat, and simmer until potatoes are tender, 20–25 minutes; drain and pat dry.